We are all very happy to see that the World Golf Village area is growing again! You’ve probably noticed all the construction going on in the King & Bear, the Cascades, the Residences and the communities surrounding us. I analyze the Northeast Florida market statistics every month to see how our area is improving over time and I wanted to share the positive information I found. We have some really great things happening in and around WGV in 2014! First, let’s look at what’s going on around our community and then we will look at what’s happening in WGV. If you’ve been by the World Commerce Center recently, you’ve probably noticed all the construction going on. Mattamy Homes is building a community called Segovia, which will be a new townhome project of 220 homes. Whether through work, community service, or just being a great neighbor, each of World Golf Village’s treasured residents give back to their community in their own ways. Royal Pines resident Fred Odom is extraordinary because his efforts have benefited the area in each of these ways. He serves on the Boards of Royal Pines Homeowners Association and Gateway Community Center in Jacksonville, in addition to dedicating time to several professional associations. 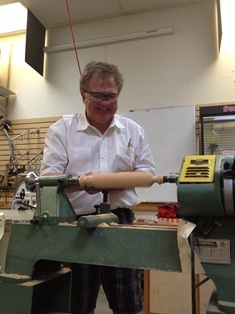 We recently caught up with Fred to get to know a little more about him and his background. Q: From where do you hail and what brought you to St. Augustine? I am originally from Waycross, Georgia, but I have travelled around the world 65 times, so you say I am resident of the world. 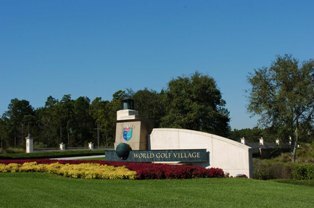 I came to St. Augustine because of World Golf Village. The Meadows is a quaint, family-friendly community located less than two miles from the neighborhood shopping center, Murabella Plaza, in World Golf Village. It was designed and developed with affordability in mind, plus all the relationship benefits of living in World Golf Village. 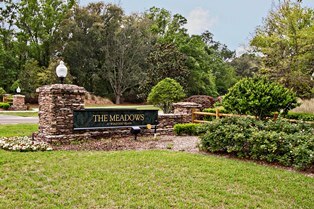 Come along with Davidson Realty agent Lynn Whitley and I as we explore The Meadows! This month, we’re back with Doug Griesemer, President of Advantage Home Builders, to learn what sets their company apart from their national competition. Doug took us to visit some of their homes under construction in Las Calinas to show how every Advantage Home Builders’ home is unique and built specifically to the homeowner’s wants and needs. And, not only are their homes customized, Advantage Home Builders is also at the forefront of energy efficiency technology! Advantage Home Builders is Taking Over Northeast Florida one Community at a Time! We recently stopped by Advantage Home Builders’ exquisite new model in Las Calinas to hear about their flourishing business and what sets them apart from their competition. After meeting President of Advantage Home Builders, Doug Griesemer, it was obvious why they have been so successful in Northeast Florida. They stay true to their core values and believe it is the reason for their rapid success. From one community and 20 homes closed in their first year of business, to an expansion to 11 communities, 106 homes closed and seven furnished models in 2012, they are growing and prospering! Land ownership maps for the approved project acreage not previously contracted for or purchased by the investors. Included correspondence files covering previously held discussions between the investors and the land owners. 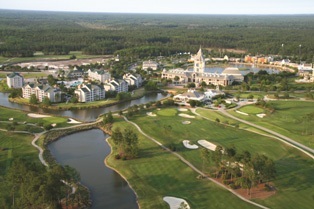 The newly enhanced www.WorldGolfRealEstate.com website features many upgrades, including better navigation and an updated look-and-feel to promote our award-winning master planned golf community. The site boasts an advanced property search and up-to-date listing of featured homes, as well as easy-to-find information about community businesses, local amenities and services, schools, and events via an online blog and community calendar. See the Sights of Waterbury by the Links East and West! 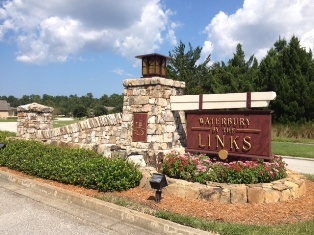 Welcome to Waterbury by the Links! In the video above, Davidson Realty Agent and resident golf course expert, Jock Ochiltree takes us on a tour through Waterbury by the Links East and West to learn more about this custom home community and the homes currently on the market. As Jock explains in the video, Waterbury is a neighborhood made up of 127 custom home sites framing holes two through eight of the world renowned King & Bear golf course, the only course collaboration by Jack Nicklaus and Arnold Palmer. 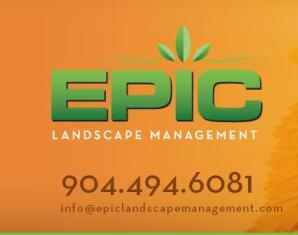 Much about Mulch: Epic Landscape Management Shares Landscaping Tips! Mulch is a wonderful addition to any landscape. A mulch layer around trees and shrubs provides many benefits. ♦ Helps maintain soil moisture. Mulch slows evaporation and reduces the amount of water that is needed by the plants. ♦ Inhibits weeds. It is almost impossible to keep weeds out of bedding areas without some type of mulch covering. ♦ Helps maintain soil temperature. Mulch keeps the plants’ roots warmer in the winter and cooler in the summer. ♦ Adds Beauty. Mulch gives planting beds a neat and uniform appearance. Its color and textures compliments the plants and the house. ♦ Reduces soil erosion. Water running off the house or from adjacent areas can create a lot of soil erosion. Mulch will decrease the amount of soil lost. ♦ Improves the soil. Any organic mulch will decompose over time. This will increase the soil’s fertility and improve the soil’s texture and drainage. ♦ Provides protection. Having a layer of mulch around plants and trees will protect them from lawnmowers and string trimmers. When Mrs. Jarrell, the new Principal at A-rated Wards Creek Elementary School in World Golf Village, agreed to create a video tour of the school, it was no surprise she wanted the spotlight to be on the award-winning St. Augustine school and not on herself. The more time we spent with Mrs. Jarrell, the more we came to see why she was the perfect person to continue Don Campbell’s legacy. She invited us on a private tour of the school, while the children were off having fun for Spring Break! Wards Creek Elementary School is a top performing school in St. Johns County, which is the top performing school district in the state of Florida. Mrs. Jarrell explains their success is built on strong academics and strong character. The pre-kindergarten through 5th grade elementary school has embraced Stephen Covey’s “7 Habits of Highly Effective People” becoming a Franklin Covey “Leader in Me” School and helping students develop essential life skills and character. Wards Creek Elementary School is working towards Lighthouse Status – there are only 24 Lighthouse Schools in the nation.